Mini Cooper S Used Car in Aluva. 2012 model Petrol Mini Cooper S used car for sale in Aluva (Alwaye), Greater Cochin City, Ernakulam, Kerala, India. The price of Mini Cooper S is ₹2,800,000. This is a Mini Cooper S 2012 year model car for sale in Kerala. It’s body colour is orange. Mini Cooper S is manufactured by the company Mini. There are very limited number of MINI used cars in India. This luxury hatchback car is idle for day to day commuting and city ride. 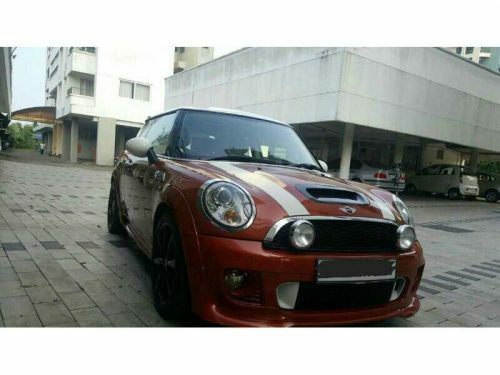 If any of you are really interested to know more about this Mini Cooper S used car, call us. This Mini Cooper S second hand car is listed in the following listing pages. Liked this ad? help others to reach this page by sharing this Mini Cooper S used car ad on social media. Maximum Social Media Share = Quick Sale. So ask your friends to share this page.